Midwives are known for offering a more personal approach to women’s health care than what a traditional obstetrician may offer. They support and guide their patients before, during, and after childbirth. A certified nurse midwife (CNM) is a registered nurse with specialized training in midwifery. Related paths include certified midwife and certified professional midwife, which do not require a nursing degree. However, these health care providers are less prevalent and licensed in only a few states, unlike CNMs, who are allowed to practice anywhere in the country. 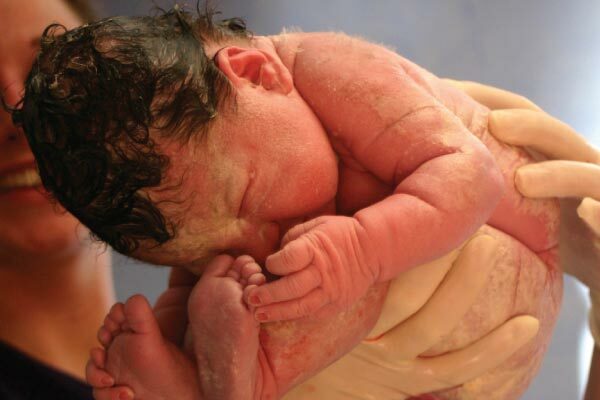 Midwives are skilled in pre- and postnatal care, newborn health, and women’s health from puberty to menopause. Depending on where they practice, CNMs may act as primary caregivers or as part of a team under a physician’s supervision. They work in a variety of settings, from hospitals and private practices to birthing centers and patients’ homes. Nurse midwives primarily work with healthy women and low-risk pregnancies. They look after patients throughout gestation, during delivery, and up to 28 days after a baby is born. They also spend a lot of time getting to know their patients at appointments, helping them make decisions, developing birth plans, and addressing their specific needs and concerns. Unlike OB-GYNs, CNMs cannot perform caesarian sections. Therefore they focus on more traditional labor and delivery methods, encouraging natural experiences with minimized medical interventions such as induction or epidurals. But the job is not limited to delivering babies; CNMs also provide reproductive and general health care. They conduct exams, order and interpret tests, and prescribe medications. They educate women in areas such as nutrition and exercise and provide emotional counseling, often developing close bonds with their patients. Majoring in nursing is the most efficient way to become a CNM, according to the American College of Nurse-Midwives (ACNM). Students will benefit from a solid background in the sciences, including biology, chemistry, anatomy, and physiology. Sociology, nutrition, and women’s studies courses are also useful. After earning a bachelor’s degree and acquiring ample field experience, registered nurses can pursue CNM training through a nurse-midwifery graduate program. Two to three years of advanced course work and hands-on clinical experience in obstetrics and women’s health help prepare students for the certification exam required to become a CNM. CNMs must receive their bachelor’s degree in nursing and become a registered nurse before moving on to graduate school. Successful completion of a nurse-midwifery education program accredited by the Accreditation Commission for Midwifery Education (ACME) results in either a master’s or doctoral degree. Graduates then take a national exam to earn a certificate in nurse-midwifery. Recertification is required every five years. Excellent; job opportunities for nurse midwives have grown exponentially in the past 20 years, according to the Mayo Clinic. The Bureau of Labor Statistics reports that employment is expected to increase by 29% from 2012–2022, much faster than the national average for other occupations. According to the Bureau of Labor Statistics, a certified nurse midwife’s median annual wage is $96,970 but varies depending on one’s education, place of employment, and location.